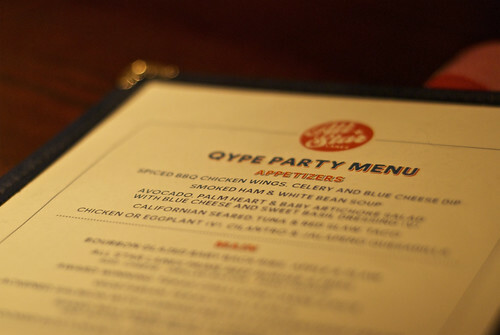 Last Tuesday I got to go to my first Qype event. Now I’ve been a member of Qype for some time now, but have mainly used it to see other people’s reviews. I never took the time to write anything up myself, so this will finally be my first Qype review! 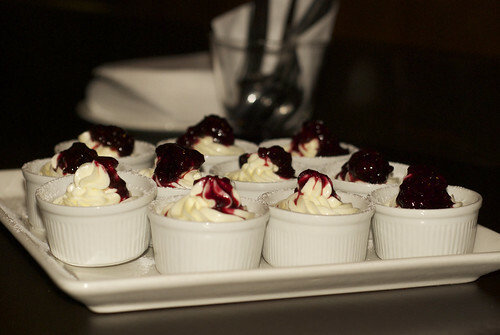 The event was at the Bayswater branch of All Star Lanes, a 50s style diner and bowling alley. 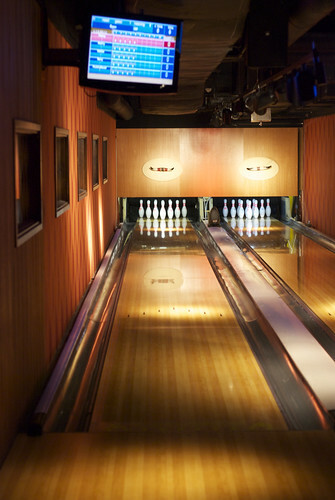 I had passed this place so many times when I used to still live in Notting Hill (it was on the route of my 24 hour bus), but from the outside it just seems like any other bowling alley. It was such a nice surprise to discover it was so much more! Inside everything has a 50s theme; the waiters and bar staff have 50s inspired outfits, the diner has nice low comfy booths and a black and white checkered tile floor, and the whole place is decorated with paintings of pinups. This turned out to be so messy, but so very tasty. The wings could have been a bit spicier for my taste (but then I’m a sucker for extremely spicy food). 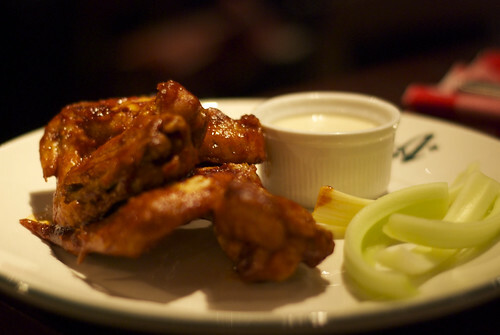 The celery and the blue cheese dip were a nice addition to the wings. I could have easily survived the night on only this; it’s a larger starter than I was expecting. 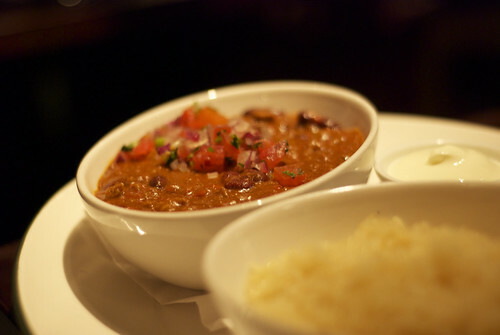 It was a good chili, nice and spicy with bits of mushrooms and peppers. I wasn’t much a fan of having the chili and rice served in two sperate bowls though. After the lovely dinner, we all headed to the private function room for bowling and karaoke. It’s a nice room for parties; on one end you’ve got two bowling lanes, on the other a nicely lit bar area with your own private cocktail bar and karaoke machine. I liked the idea of combining bowling and karaoke; instead of just waiting for your turn to bowl, you can enjoy singing along to the usual karaoke. I attempted a couple of songs; singing Build Me Up Buttercup with LJ, and trying to Lady Gaga’s Poker Face with Dan. Thanks to Qype and All Star Lanes for organizing such a lovely evening!